Encounter the architecture of an era that is truly off the beaten track in Vienna, and one that visitors seldom discover on their own. The end of World War I saw the collapse of the Austro-¬Hungarian Empire and 600 years of Hapsburg rule. In 1919 the socialists won an absolute majority in Vienna city government, a position of power they maintained until 1934. This 15-year period was known as Red Vienna. To lead Vienna out of the rubble of defeat and into a new era, the government introduced numerous legislative initiatives, tackling labors rights and public housing. On a 3-hour guided walk you’ll experience the fascinating and gargantuan Art Deco public housing estates that were built in the 1920s and 30s on the outskirts of the city. 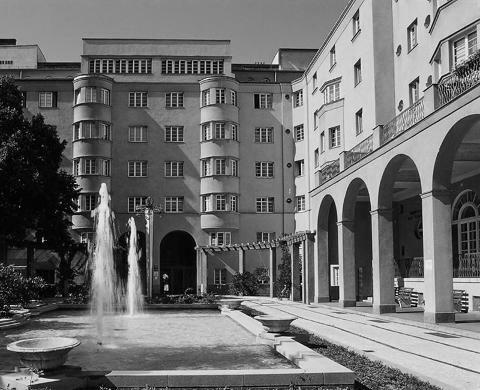 A total of 60,000 new apartment units were constructed between 1925 and 1934. These estates are striking to explore and learn about, as they were built to be ideal worlds with small but practical housing units, common baths, public squares, and communal green areas. Spaces were allotted for shops, libraries, theaters, kindergartens, medical clinics, laundromats, and political clubs. Visit 2 such council estates on this tour. The most famous and largest is Karl Marx-Hof, dubbed the Ringstrasse of the Proletariot. It was built by urban planner Karl Ehn, a follower of the city’s famous Art Nouveau architect, Otto Wagner. Just a short metro ride from Karl Marx Hof is the second estate on the tour, the Reumannhof. 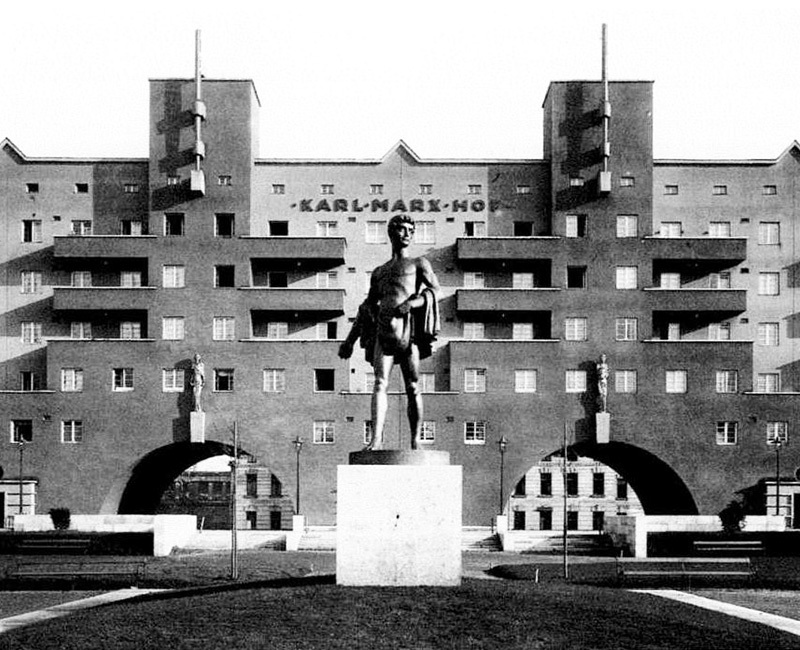 With a historian as your guide you’ll learn about the political vision behind the civic functions incorporated into these housing complexes, as well as the sophisticated aesthetic philosophies that were introduced. 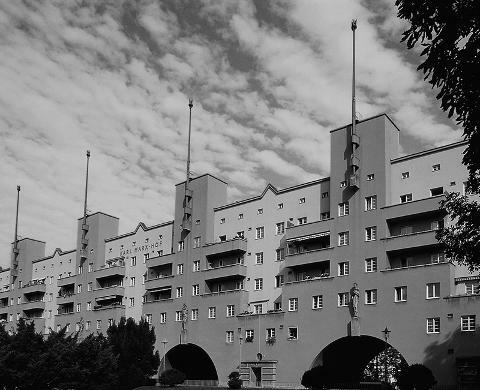 The overriding goal was to create humble but charming structures in an Art Deco vernacular that would provide lower middle class and working class Viennese with a new sense of community and social uplift. You’ll also learn about the clumsy propaganda of the socialist politicians and the naïve failings of their attempts to produce a utopian solution for the massive post¬war social problems in the city. In the end, insurmountable economic devastation led both to the defeat of Vienna’s socialist experiment and to the takeover of Austria in 1938 by the Nazis.